Population: 2. 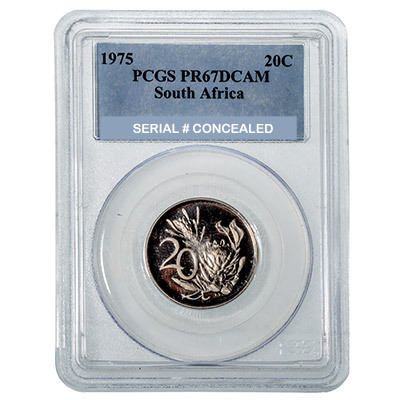 Which means that this 1965 South Africa 10c graded AU58 and authenticated by NGC is only one of two ever graded by NGC. Once you have the coin in your possession the serial number can be checked for the population report on the NGC website.